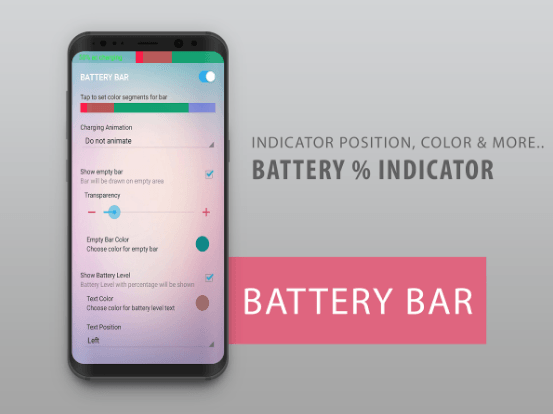 A very convenient and useful application for all Android devices, with which it is much more convenient to check the level of battery power. 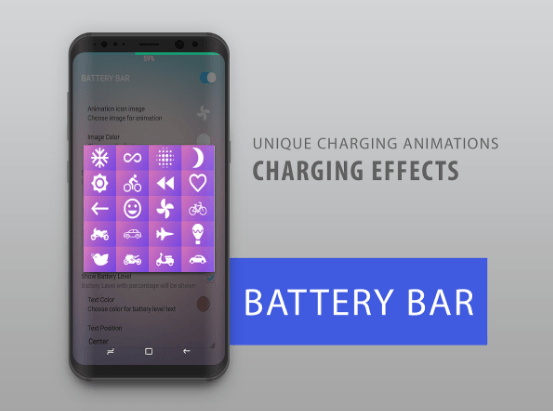 By default, Android uses an uncomfortable battery charge indicator, which means that when the smartphone is discharged, it can only be used very roughly. The problem is solved by the Energy Bar application, which adds a visual scale to the screen. In order not to get into an unpleasant situation, it is important for each user to know how long his smartphone will work. There are many mods that add percentages to the battery charge indicator, but most of them require superuser rights. 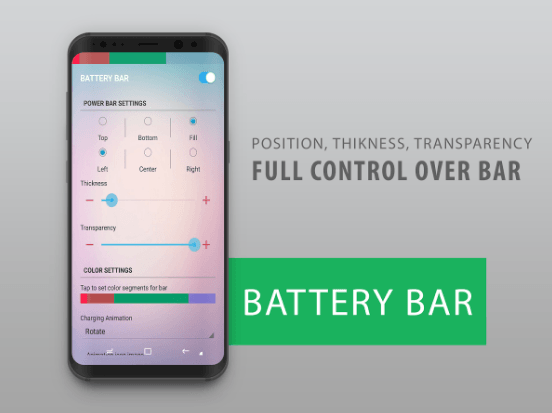 The Energy Bar solves the problem of displaying the remaining charge in a slightly different way. 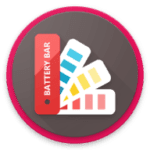 After installing and configuring the application, you will see a color scale of charge located near the top edge of the screen. By its size and color, you can at a glance assess the remaining time of the gadget. Energy Bar should be given a special permission to display information in the status bar. You need to do this in the device settings, in the “Special Features” section. After that, you can change the appearance and location of the indicator. 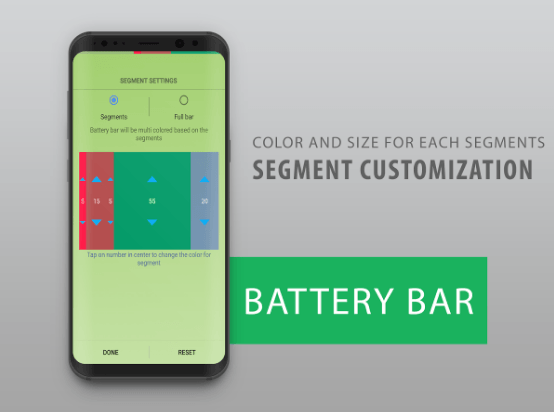 In the program options, you can select the orientation of the scale (left, center, right), change its thickness and set colors for different levels of charge. For example, if the battery is fully charged, put a green color, and when it is discharged, it is red. Then you will instantly know when to connect the gadget to the network to charge it. With the help of such a program, the use of the device will be many times more comfortable. the ability to automatically hide Bar Energy on the content screen (applications, movies, images, games, etc.). The app contains some paid features that are opened after the In-App purchase. merging segments: if you created several segments, you can merge them and show them at once.